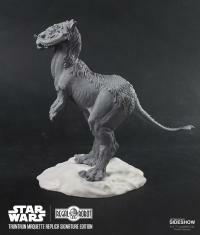 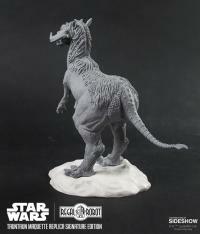 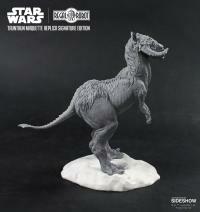 Sideshow and Regal Robot present the Tauntaun Maquette Replica: Signature Edition! 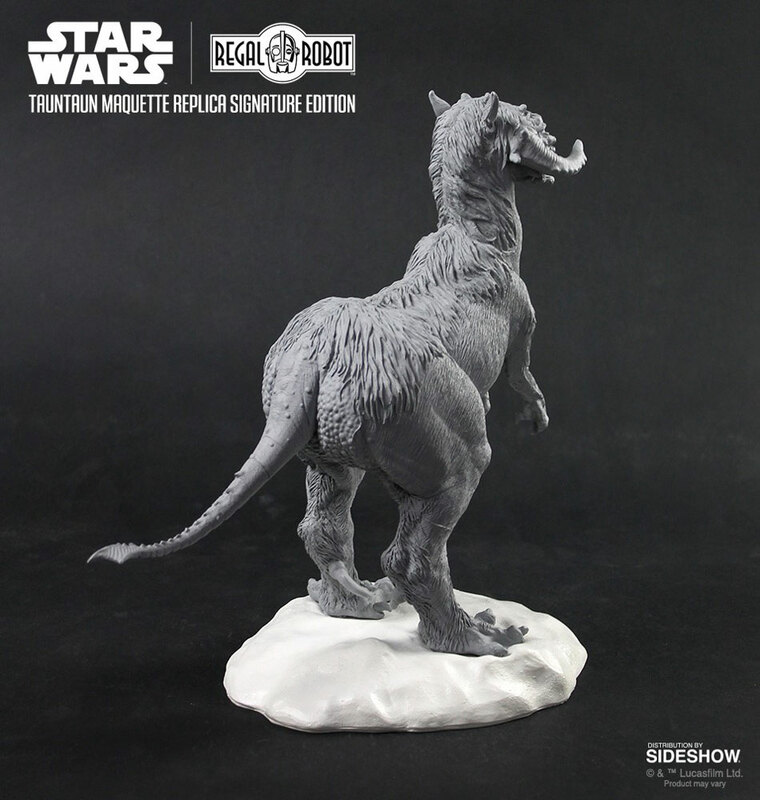 In simple gray and white, this limited edition of only 250 pieces is a 1:1 recreation of Phil Tippett’s original concept sculpture that helped set the design for this iconic Star Wars™ beast! 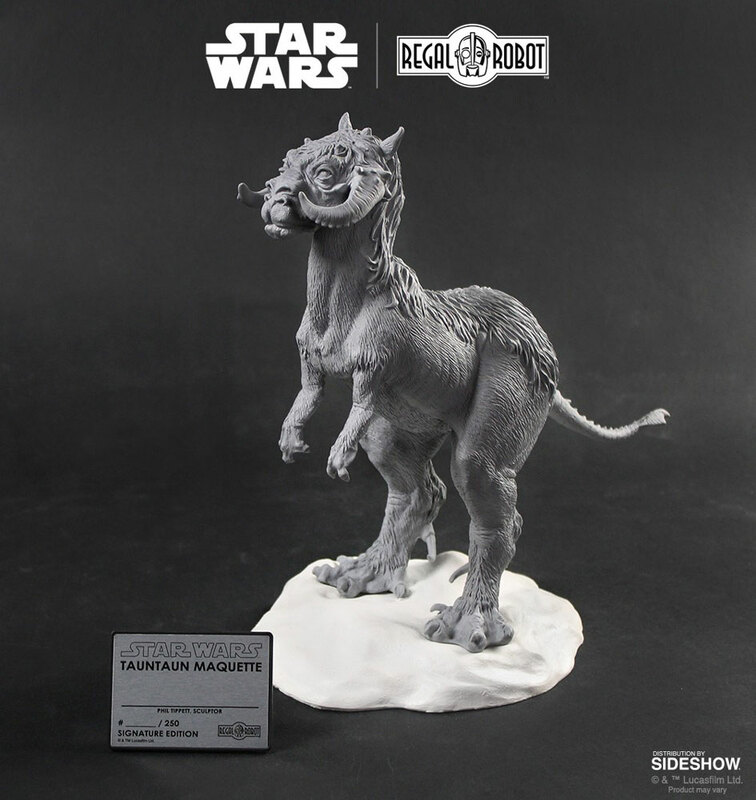 Regal Robot is thrilled that they were able to develop the master sculpture for this maquette with access to the original molds. 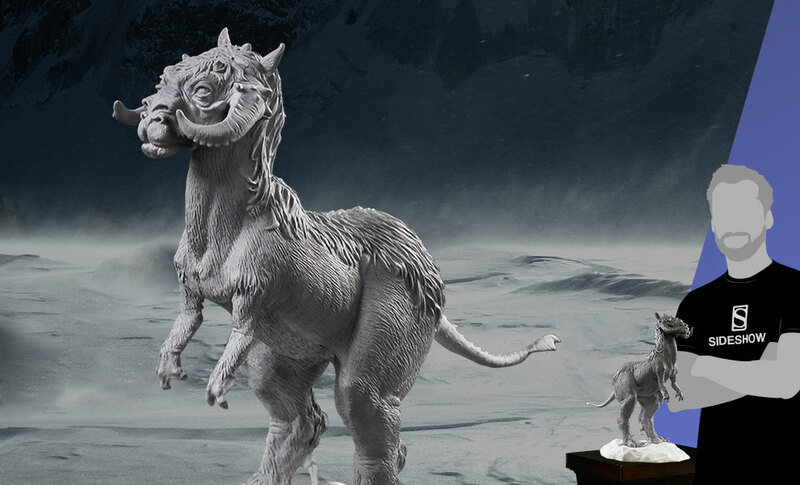 Each statue in this limited edition will also include a metal plaque signed by Tippett and a sculpted, snow-themed display base. “This particular sculpture is one of my favorite creature interpretations in all of the Star Wars films. 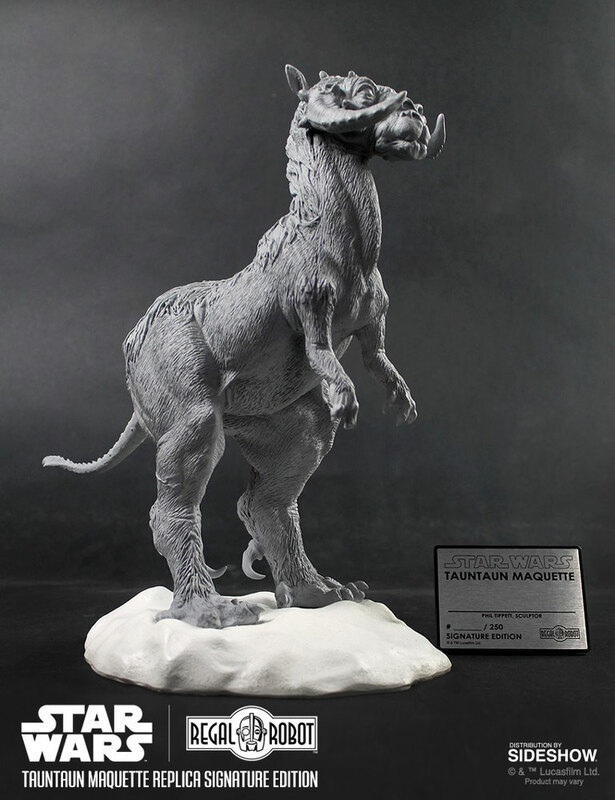 I had seen photos of Phil Tippett’s concept tauntaun maquette in books about props and the movie’s production and was immediately enamored by the forms, the details, the plated tail with spade end... this sculpture exuded character! Phil’s been a hero of mine since I first discovered his work, and when I got to know him and saw a casting in person at his studio, I was stunned to learn the original mold still existed! The old Regal Robot ‘wouldn’t it be cool if...’ slogan immediately came to mind. 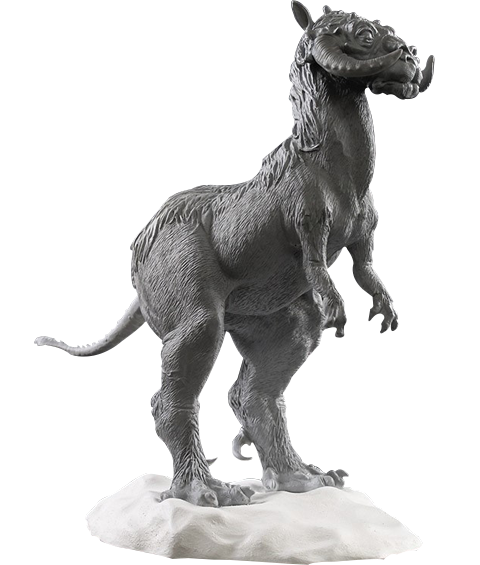 I am absolutely honored to be able to make this replica available to fans through our new Custom Character Studio, and further, that Phil’s made this limited run of 250 pieces a signature edition!” - Tom Spina (Regal Robot founder). 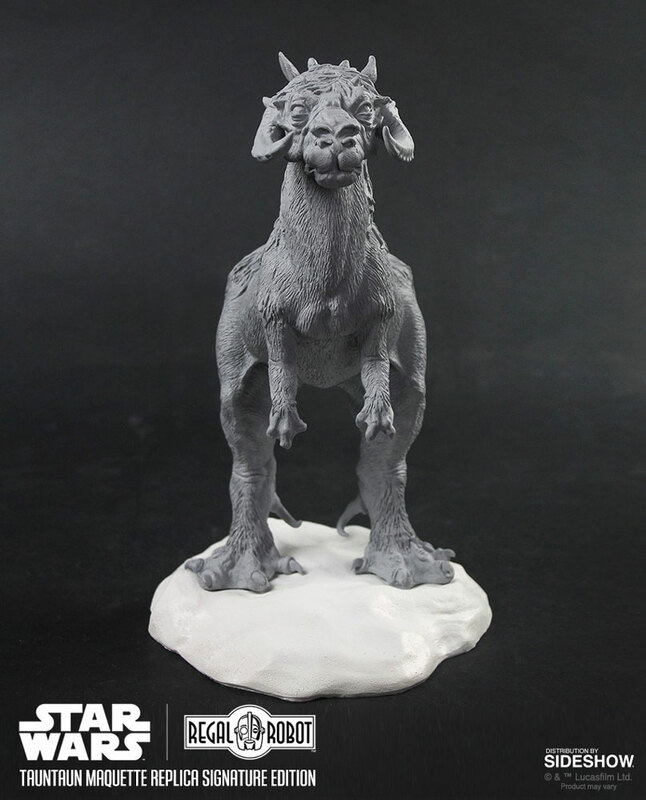 Working from a casting taken from Phil’s original mold from the film’s production, we created the master for our new Tauntaun Maquette Replica: Signature Edition. 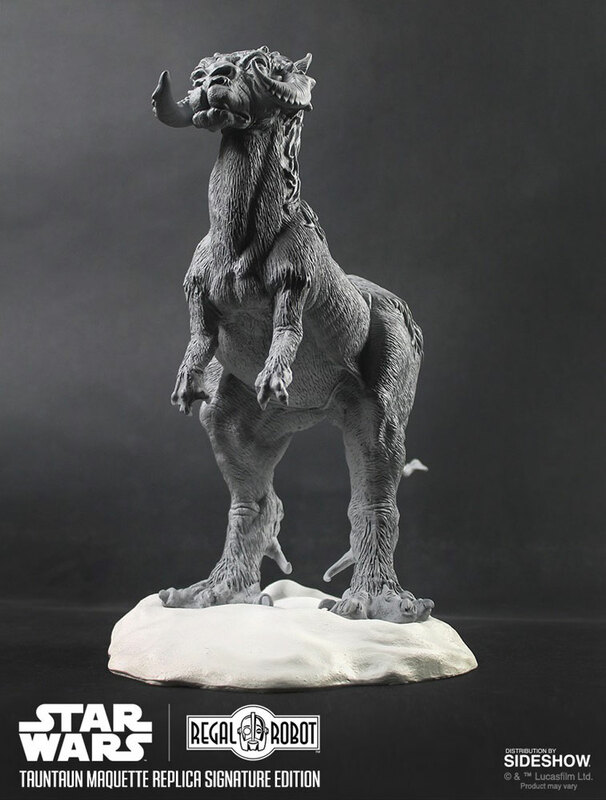 At our New York studio, restoration artist Patrick Louie gently cleaned the seam lines, leaving intact all of the wonderful natural variations in the original sculpt. 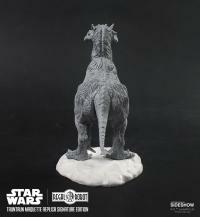 We made a separating, magnetized tail to help minimize potential shipping damage. 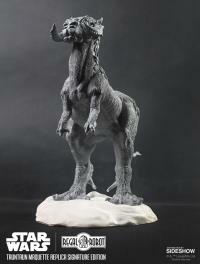 While the mold encompassed nearly the complete creature, several small elements, including the horns, ears, and dewclaws, were not present. These were faithfully sculpted and molded to become part of this new replica. 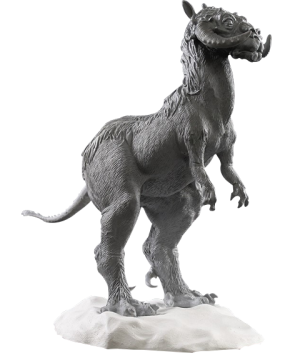 We also sculpted a tasteful snow themed display base, that supports the statue, giving it context without outshining it. 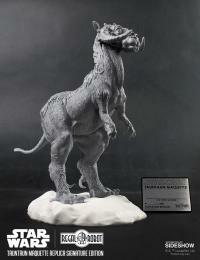 Our goal is to give fans a faithful recreation of this original artifact of a timeless production. 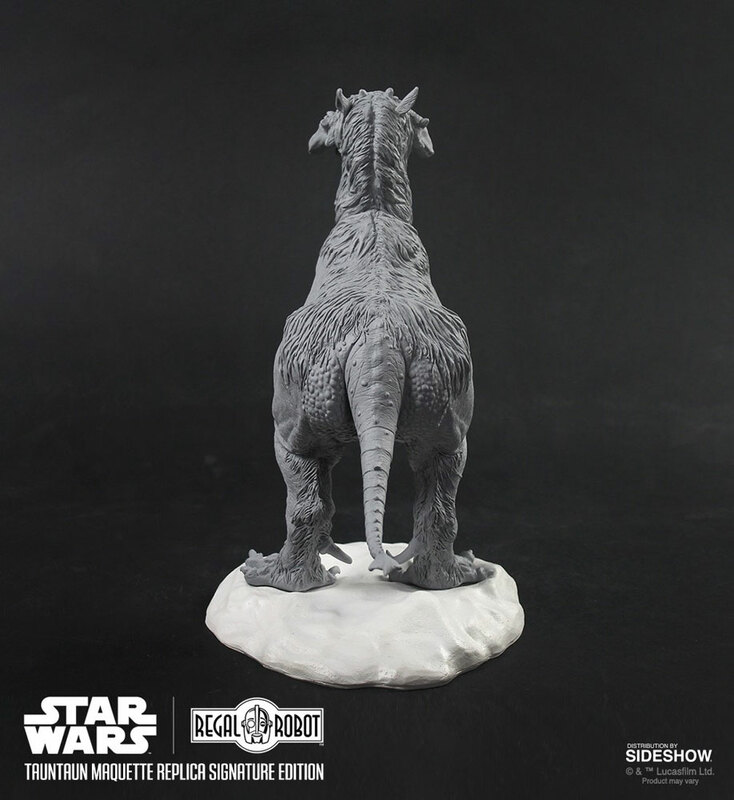 We’re casting our resin maquettes in the USA and finishing them in simple gray and white as a tribute the sculpture and artistry that went into making Star Wars: The Empire Strikes Back. 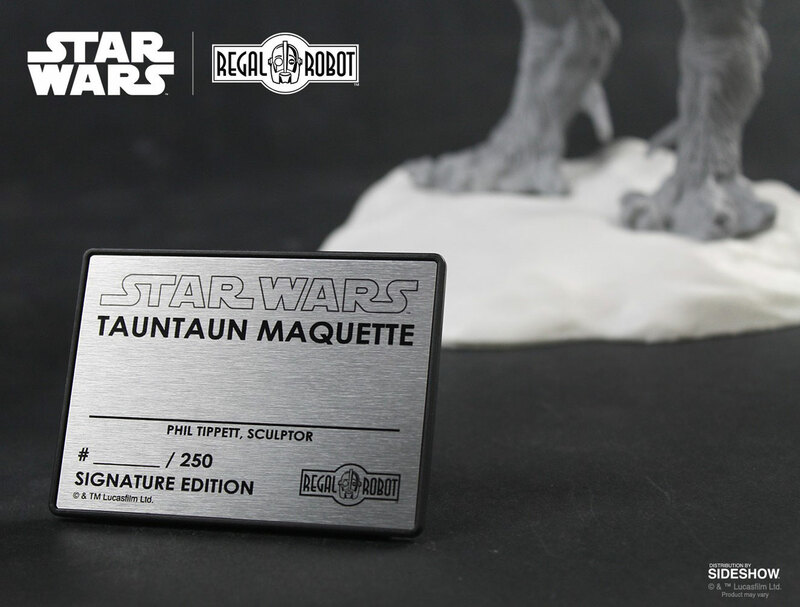 Each of the 250 pieces will come with snow themed base and an elegant metal plaque, signed by the original sculptor, Phil Tippett. 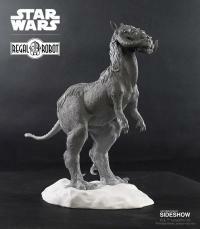 Pay as little as $314.50/mo.